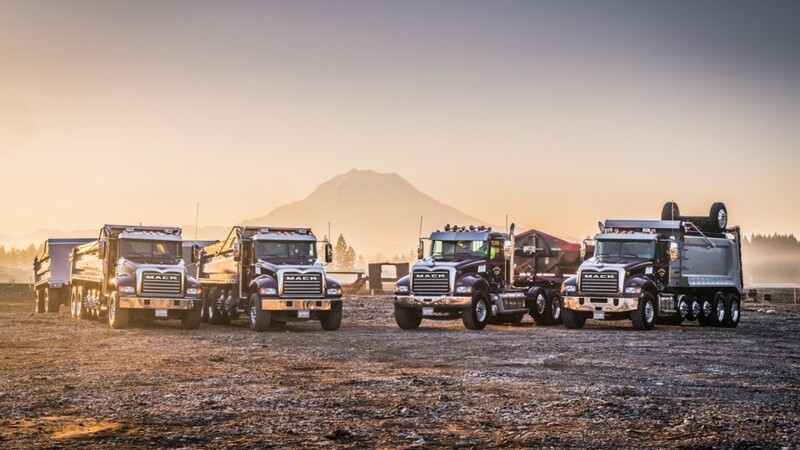 Maple Valley, Washington-based Silver Streak Trucking depends on its fleet to meet customers’ needs in the ultra-competitive Seattle area construction market, which is why they rely on Mack Trucks and its industry-leading uptime solutions. "Mack has always been a durable truck for us," said Kevin McCann, Silver Streak fleet manager. "With the addition of Mack GuardDog Connect and Mack Over The Air, we now have trucks that can not only notify us of issues before they become major problems and impact our customers, but also receive software updates wirelessly." "We're a close-knit family business - my son is now driving for us - and we depend on our trucks to be up to any challenge we throw at them," said Benson. "That's why we chose Mack. The combination of durability, driver comfort and uptime is unbeatable."